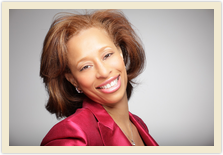 Dr. Angela J. Johnson has been practicing general dentistry in the Atlanta area for 19 years. She and her husband are the owners of J & J Family Dentistry where she currently practices. She graduated from Tougaloo College in Mississippi, receiving a bachelor’s degree in biology. She received a Doctor of Dental Surgery degree from Meharry Medical College, School of Dentistry in Nashville, Tennessee. Dr. Johnson received the 2013 High Heel Trumpet Award. She is a member of the American Dental Association and the National Dental Association, where she has served as local and national chair of the Women Dentist Health Symposium. She is also a member of the Georgia Dental Association, the Northern District Dental Society, and the North Georgia Dental Society, where she has served as treasurer. Angela is a member of Delta Sigma Theta Sorority, Incorporated and the Entrepreneur Ministry at Elizabeth Baptist Church. Additionally, she was a part of the 1996 Olympic Games dental team, providing dental care to many athletes from around the world. Dr. Johnson developed a passion for people and community service, which is exemplified daily in her patient care, and her membership in community and civic organizations. She is married to Dr. Gary L. Johnson, and they have two sons, Evan 16 years old and Dylan 8 years old.